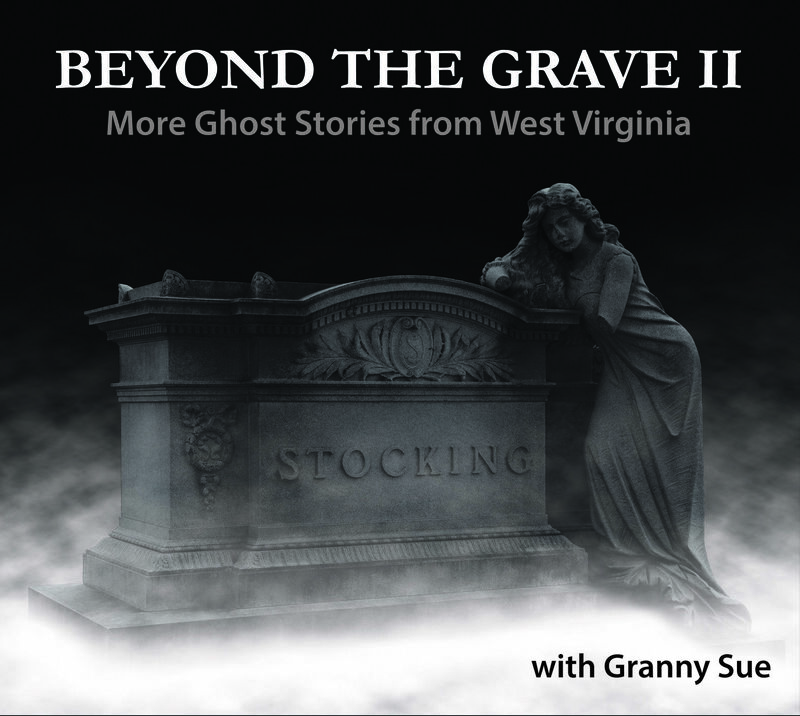 Read WV Explorer's article article: West Virginia Storyteller Shares 5 favorite Ghost Stories! March 2: St. Albans Public Library, St. Albans, WV 12:00 noon.Celtic Storytellers. Family program. Program will include a multimedia presentation with photos, a Mari Lwyd, and more. Refreshments will be served. March 12: Moundsville-Marshall Public Library, Moundsville, WV, 6:00pm. CelticStorytellers. Program for adult audiences. Program will include a multimedia presentation with photos, a Mari Lwyd, and more. March 15: Belmont Middle School. Appalachian stories for the students. March 18: Taylor County Public Library, 5:00pm. Celtic Storytellers. Program for adult audiences. Program will include a multimedia presentation with photos, a Mari Lwyd, and more. April 2: Sissonville Public Library. 6:00pm. Jack Tales! For family audience. April 10: Serenity Coffehouse, Vienna, WV. 6:00pm. Celtic Storytellers. Stories, ballads, folklore, and superstitions! April 27: Kids Poetry Workshop. South Parkersburg Public Library, 1:00pm. May 4: Nature Folklore and Stories. Wildflower Arts & Nature Festival, Beech Fork Lake State Park, Huntington, WV 11:00am. May 4: Morgantown Creative Arts Center, Appalachian Storytellers, 6:00pm. June 13: Sugar Land Tours, Tamarack. Tour group presentation. July 12: Paden City Public Library, Paden City, WV. 12 noon. Summer Reading Program. July 15: Tyler County Public Library, Middlebourne, 1:00pm. Summer Reading program. August 4: Dayton Celtic Festival, Dayton, OH. Celtic Storytellers, 1:30pm. October 5: Appalachian Ghost Stories and Ballads, WV Book Festival, Charleston, WV 9:00am. March 20: Parkersburg Public Library, 6:30pm. Celtic Tales. April 7: Storytelling Workshop, Lottridge, OH, 9-5pm. Storytelling concert to follow at 7:00pm. June 8-10: West Virginia Writers Conference. Cedar Lakes, Ripley, WV. Attending and learning! July 4-7: Fairlplain Flea and Antique Market, We will be there, selling antiques, vintage and retro items! Come see us. Fairplain, WV Livestock Market, 8am-dark. August 14: More Than Words Series Presenter, Hidden Creek Winery & Crafts, Hurricane, WV 6:00pm. Oct 7: Greenbrier Resort, Ghost Stories, private event. Oct 13: Do You Believe? Ripley Ghost Walk, 7pm. Starts at the Ripley courthouse. $10 per person. Not recommended for young children. Limit of 50 so get your tickets ahead of time! Oct 20: Storytelling Workshop, Pearl S. Buck Birthplace, Hillsboro, WV. Details 10am-4pm. $10 per person. Telling Ghost Stories. Calvin Price Series, Pearl S. Buck Foundation. Oct 25: Calhoun County LIbrary, Grantsville, WV, 6:00pm Ghost Stories! Oct 31: Do You Believe? Ripley Ghost Walk, 7pm. Starts at the Ripley courthouse. $10 per person, $5 for seniors and children. Not recommended for young children. Nov 1: Moorefield WV Library, 6pm: Ghost Stories! Nov 18: Tellabration! Athens Uncorked, Athens, OH 7:00pm. Dec 1: Hancock War Memorial LIbrary, Home for the Holidays program, 1:00pm. Dec 19: Here We Come A-Caroling, Philippi Library, Philippi, WV. 6:30pm, with musician David O'Dell. March 6: University of Charleston, Charleston, WV: Appalachian ghost stories and folklore. Classroom presentation. May 26-28: Ripley On Sale! Setting up as a vendor to sell antiques, collectibles and refurbished furniture. June 15: Craigsville Library Summer Reading Program, 1:00 pm. Public performance. June 20: Sharpe Hospital, Weston, WV. Private event. June 24: Clarksburg-Harrison Public Library, Clarksburg, WV: Stories for a Better World, 12 noon. Public program. June 24: Blackwater Falls State Park, Davis, WV. Campfire stories, 7:00pm at the park. Open to the park guests and the general public. June 26: Tyler County Public Library, Middlebourne, WV, 1:00pm. Stories for a Better World. Public program. June 26: Ohio County Public Library, Wheeling WV 6:30pm. Stories for a Better World. Public program. June 27: Philippi Public Library storytelling, 10:00 am, Philippi, WV public performance. June 27: Webster Addison Public Library, Webster Springs, WV Stories for a Better World, Time TBA. June 30-July 5: Vendor at the big annual flea market, Fairplain WV! July 12: Shady Spring Library, Summer Reading presentation, 10:00 am. Public welcome! July 11: Louis Bennett Public Library, Weston, WV, 10:30 am: Stories for a Better World. Public program. July 11: Buckhannon-Upshur Library, Buckhannon, WV, 1:30pm: Stories for a Better World. Public program. August 5-6: Inland Waterways Festival, Marietta, OH. Free festival promotes the inland waterway. Storytelling, music, history, science! I will be there telling stories both days. August 30: Wolf Tours, Tamarack, Beckley, WV. Introducing tourists to our mountain culture. September 1-2: Gathering at Sweet Creek, Storytelling in the tent! October 6: Ripley Middle School, WV stories, all day. October 13 and 14: Ripley's Do You Believe Lantern Walk, 7:00pm both days. Admission fee. October 20: Braxton County CEOS group, 1pm, Heaters, WV. October 21: performance, Bridgeport. Speaker for private event. October 28: Independence Hall, Wheeling, WV. West Virginia Ghost Stories. 6pm. Public event--come early for children's spooky tales, then stay for scarier stuff! November 19: Tellabration! Storytellers and music at Athens Uncorked, Athens, Ohio, 6:00pm. November 26: Here We Come A-Caroling, 2:00pm, Alpine Theater, Ripley, WV. Admission fee. November 30: Here We Come A-Caroling, Philippi Library Open House, Philippi, WV, 6:30 pm, with musician David O'Dell. Free and open to the public. December 2: Frederick MD. House Concert with Gracious Me, Here We Come A-Caroling! By invitation. December 10: Christmas Stories, Calvary United Methodist, Ripley, WV, 5:30pm. December 11: South Parkersburg Public Library, Parkersburg, WV 6:00pm. 'Tis the Season! Stories, Songs and Fun for family audience. Puppets, participation, crankie and more! Free and open to the public. December 16: Evergreen Hills Golf Course Christmas Program, Silverton, WV. Come see Santa, make crafts, and hear stories! 11:00am-2pm. June 13: Middlebourne Public Library Summer Reading Program, Middlebourne, WV 1:00pm. Public program. June 28: Gilmer County 4-H, Glenville, WV. Private event. July 7: Moundsville Library Summer Reading program, 11am, Moundsville, WV Public event. July 7: Benwood-McMechen Library Summer Reading program, 2pm, Benwood, WV Public event. July 12: Louis Bennett Public Library Summer Reading Program, Weston, WV 10:30am. July 26: Spectrum Tours, Tamarack. Private event. August 6: Museum Day, Ohio River Museum, Marietta, OH. August 16: Athens County Children's Services, private event. September 12: Tamarack, tour group presentation. Private event. October 10: Tamarack, tour group presentation. Private event. October 12-13: West Virginia Storytelling Festival, Weston, WV. Schools event and evening public performance. October 15: Apple Butter Making at my house! October 21-22: Ripley Ghost Walk, 8pm each evening. November 28: Here We Come A-Caroling, Cedar Lakes, Ripley, WV 7:00pm, Road Scholars program. December 10: Here We Come A-Caroling! House concert, Frederick, MD. 7:00pm. Contact me for details. December 11: Olde Tyme Christmas, Harper's Ferry, WV, St. Peter's Church, 1:00pm, free public program. December 17: Here We Come A-Caroling! Philippi Public Library, Philippi, WV 2:00pm, free public program. December 18: Here We Come A-Caroling! Blackwater Falls State Park, Davis, WV 10:00am, for Breakfast with Santa program. April 25: WV Storytelling Guild Spring Workshop, presenting a session on blogging. May 9: Migration Celebration! Little Beaver State Park, Beaver, WV. Open and free to the public! Storytelling and crafts. June 22: Jack: Appalachian Superhero! Paden City Library, Paden City, WV, 12 noon. July 3: Fibbin' for the Fourth! Alpine Theater, Ripley, WV 7:00pm. I will be one of the judges! 6:00pm Dunbar Public Library, Dunbar WV. .
October 13: Speak! Shepherdstown, WV, 7:30pm, Shepherdstown Community Club, Shepherdstown, WV. Information at Speak! Shepherdstown Facebook page. October 17: WV Ghost Stories, Cross Lanes Library, Cross Lanes, WV, 12:00 noon. October 25: Bady House Concert, Brooklyn, NY. Appalachian ghost stories! Information at the BadyHouseConcert Facebook page. December 12: Here We Come A-Caroling! with musician Jeff Seager, Ohio River Museum, Marietta, OH, 1:00 pm. January 18: Ohio County Public Library. Step into a Story. Feb 28-March 2: Storytellers Retreat, Wells Inn, Sistersville, WV. Concert Saturday Evening, March 1, 7pm at the Gaslight Theatre in Sistersville. March 7: Storytelling and discussion of Appalachian culture, Univ. of Charleston, Charleston, WV. Private event. March 10: Full day storytelling at Spencer Primary Center, Spencer, WV, and parent workshop afterward. March 13-16: Timpanagos Storytelling Conference, Ore, Utah, presenting workshops on ghost stories and blogging, and offering a performance showcase. April 14: Full day storytelling at Harrison county alternative high school, Clarksburg, WV. May 3: House Concert, Murphy, NC with Tipper Pressley of Blind Pig and the Acorn blog. Martin's Creek Community Center. June 19: Shady Spring Public Library Summer Reading Program, Folktale Science! Shady Spring, WV. July 10: Summer Reading Program, Spencer Library 12:30pm and Walton Library 4:00 pm Open to the public. July 15: Summer Reading program, Folktale Science! Louis Bennett Public Library, Weston, WV 10:30 am. Open to the public. July 17: Summer Reading Program, STEAM into Stories! Raleigh County Public Library, Beckley, WV. For adults. July 20-25: Teaching Creative Writing for Augusta Heritage Series, Davis & Elkins College, Elkins, WV. Weeklong class to explore a variety of writing opportunities! For writers at all levels of experience. August 3-8: Teaching Appalachian Storytelling for Augusta Heritage Series, Davis & Elkins College, Elkins, WV. Weeklong class for storytellers of all ages and experience levels. September 8: Cedar Lakes, Ripley, WV. Storytelling for Road Scholars with musician Heidi Muller. September 22: Appalachian Festival, Shepherdstown, WV. 7:00pm, Byrd Legislative Center, Shepherdstown, WV. Singing a couple ballads in conjunction with Fred Powers' coal mining storytelling program. September 27: Museum Day performance, Ohio River Museum, Marietta, OH. Open to the public. Performances at 12 noon and 2pm. October 6: Ripley Middle School, Ripley, WV. All-day event for students and staff only. October 10-11: Ripley (WV) Ghost Walk, 7:30 pm-?. Meet in front of the Alpine Theater. Tickets $10.00. Not recommended for children. 1-mile walk through Ripley's haunted history. Call 304-514-2609 for tickets and more information. October 11: Morgantown Public Library, 11:00 am. Monstrous Mysteries Return! 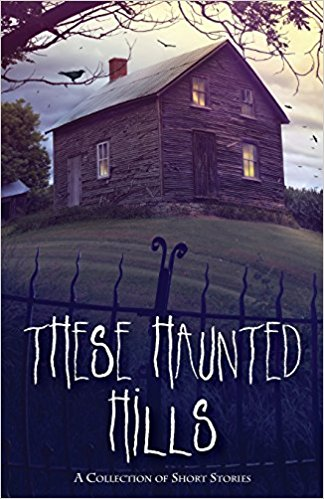 West Virginia Tales of the Supernatural, Ghostly and Just Plain Weird, with Granny Sue and Jason Burns. October 15-16: West Virginia Storytelling Festival, Jackson's Mill, Weston, WV. School groups during the day, and evening concert for the public, 7:00 pm. October 18: Ghost Stories, Beckley Art Center, Beckley, WV 7:00 pm. Telling tales with some of southern West Virginia's best storytellers! Open to the public. October 23: BridgeValley Community and Tech College, South Charleston, WV. 12 noon. Ghost stories! October 25: WVU Tellabration! MountainLair, Morgantown, WV, 5:00pm. Celebrating storytelling with stories and ballads during WVU Week in Morgantown. Free admission, open to the public. October 28: Ghost Stories, Fairmont Public LIbrary, Fairmont, WV 6-8pm. November 3: Ritchie County Middle School full day presentation. November 7-9: Kentucky Storytelling Conference, just to hang with friends and learn new things. November 14: Storytelling Concert, Frank and Jane Gabor Folklife Center, Fairmont State University, Fairmont, WV, 7pm. with Susan Gordon, Kirk Judd and Jo Ann Dadisman. Suggested donation $15.00 per person. November 15: Storytelling workshop with Susan Gordon, Fairmont State University Folklife Center, 10 am-4:30pm. $40 per person, or $45 for combined ticket for both events. November 29 or 30: House Concert, Here We Come -Caroling, tentative. December 4: The Grapevine Storytelling Series, 7:30–8:30PM, Takoma Park Community Center, 7500 Maple Ave., Takoma Park, MD 20912. $10.00 suggested donation. With Renee Brachfield/Mark Novak and host Noa Baum. December 6: House concert, Frederick, MD. Here We Come A-Caroling, with musician Jeff Seager and host Susan Gordon. Suggested donation $10. Stories and songs of the holiday season. January 15: Washington District Elementary School, Tallmansville, WV. School event. January 18: Spencer Elementary School, Spencer, WV. School event. January 19: ArtsWest Theater, Athens Ohio. Featured presenter, Appalachian Ohio Storytelling Project. January 31: Storytelling for Family Night at Geary Elementary School. March 28: WV State Community and Technical School, Institute, WV. Class presentation. May 11: Migration Celebration, Little Beaver State Park, Beaver, WV. See TRAC WV website for details. May 28: Grand Vue Storytelling Festival, Moundsville-Marshall Public Library, 7:00pm. Festival kickoff storytelling concert with festival tellers. May 29: Grand Vue State Park Storytelling Festival. Schools and public welcome. June 11: Ritchie County Public Library, Harrisville 10:30am and Pennsboro 1:00pm. Summer Reading Kickoff. June 20: West Virginia Birthday Celebration, Clendenin Library, Clendenin, WV 6:00pm. June 22: West Virginia Sesquicentennial Celebration, WV State Capitol grounds, 10am-6pm. Storytelling featuring tales from our state's history. Times TBA. July 16: Weston Public Library Summer Reading Program, Weston, WV. 10:30 am. July 17: Calhoun County Public Library, Grantsville, WV Summer Reading Program. 2pm. July 23: Morgan County Public Library Summer Reading programs, Berkeley Springs, WV. 10:30 am and 6:00 pm. July 25: RSVP Reception, Charleston, WV. Private event. August 4-11: Augusta Heritage Series Storytelling Workshop, Davis & Elkins College, Elkins, WV. Teaching Appalachian Storytelling! See Augusta Heritage website for details as these become available. October 5: Maple Hills Farms, Spencer WV: Artisan event for Tamarack artists. 10-5. Come out and meet your favorite artists! October 9: WV Library Association Conference, Shepherdstown, WV: Buried Alive! Stories and Songs of Coal. 8:00pm, for conference attendees. October 12: Monstrous Mysteries of the Mountain State: Ghost stories and ballads, Morgantown (WV) Library with Jason Burns, 11:00 am. October 16-17: Jackson's Mill Storytelling Festival, Jackson's Mill, Weston, WV. Two-day event telling stories for school children. October 30: Richwood Middle School. Full day of storytelling! November 1-3: Kentucky Storytelling Association Conference. Presenting two workshops at Greenbo State Park. November 8: Pleasant Hill Elementary School, Grantsville, WV. Appalachian Heritage Day. Postponed. November 9: Jackson County Writing Contest Awards Presentation 4:00pm, Ripley Library. November 22: Salem Elementary, Salem, WV. Full day of storytelling. December 13: Here We Come A-Caroling: Stories and Songs of the Holiday Season. Berkeley Springs, WV, 7:00pm. Call Pam Mann at Morgan County Library, (304) 258-3350 for details. Refreshments, music, stories and more. December 14: Here We Come A-Caroling House Concert, Frederick, MD. December 15: Here We Come A-Caroling House Concert, Bristow, VA.
January 20: Open Door Open Mic. 7:00-9:00pm at the Ripley Library, Ripley, WV. MC for local open mic event. Join us! February 11: Arts of Kanawha Valley Fundraiser, Charleston, WV. Reading some of my poetry, 8:35pm. February 17: Open Door Open Mic. 7:00-9:00pm at the Ripley Library, Ripley, WV. MC for local open mic event. Join us! Call 304-372-5343 for information. February 29: North Elementary School, Morgantown. School Event. March 2-4: WV Storytelling Guild Storytellers Retreat, Wells Inn, Sistersville, WV. Call 304-372-5861 for information. March 3: Celtic Stories and Songs. Gaslight Theater, Sistersville, WV. 7:00pm, open to the public. March 16-18: Sharing the Fire Northeast Storytelling Conference, Albany NY: Showcase presentation on Appalachian ballads. April 18: Storytelling in the Village and taping with Ellouise Schoettler, Silver Springs, MD. Details TBA. May 4-6: OOPS Storytelling Conference, Mount Vernon, OH: workshop presentation, Short Stories Anyone Can Tell. May 12: Migration Celebration Festival with Three Rivers Avian Center, Beaver, WV. See www.tracwv.org for details. June 8-10: WV Writers Conference, Cedar Lakes, Ripley, WV. Networking and learning. See www.wvwriters.org for conference details. June 19: Vienna Public Library Storytelling for Summer Reading. 10:30am and 1:00pm. Call 304-295-7771 for details. June 20: Storytelling programs for Lincoln county libraries: Alum Creek at 11 am, Hamlin at 12:30, and Branchland at 3pm. Then on to Asbury Woods to tell stories for a Christian teen group at 7:00pm. June 21-23: WV State Folk Festival, Glenville, WV. Coordinating the Oral Traditions tent and more. June 24-30: Taking lap dulcimer class at Allegheny Echoes! Yay! June 27: Louis Bennett Public Library, Weston, WV, at 10:30am and Lost Creek Library at 1pm: Summer Reading Program presentations. July 12: Storytelling for the Riverside and Marmet libraries in Kanawha County. 10:30 am at Marmet, 6:00pm at Riverside, with some time to explore in between. July 13: Storytelling at the Ripley library in my home county. July 19: Traveling south to tell stories at the Logan Area Public Library, 1:00 pm. July 23: Traveling north to Cameron Library for a 1:00 pm program, then on to Mannington for a 6:00pm program. August 5-11: Augusta Heritage Old-Time Week, Elkins, WV: Teaching Appalachian Storytelling for a full week! September 8: Ghost storytelling at the Southern Ohio Storytelling Festival. Evening concert. See http://www.sostoryfest.com/friday.html for festival details. It's an all-star line-up! September 12: Storytelling for my uncle's assisted living facility folks. September 14-15: Meigs Sternwheel Fest, Pomeroy, OH. Storytelling for the festival. September 22: Appalachian program at the Gaslight Theater in Sistersville, WV. September 28: WV Storytelling Guild Storytelling Festival, Prickett's Fort State Park, Fairmont, WV. October 1: Ripley Middle School, full day storytelling for 8th grade students. October 1: Road Scholars presentation, Cedar Lakes Conference Center, 7pm. October 10-11: WV Library Association; 2 sessions--storytelling and how to plan and promote a library writing contest. 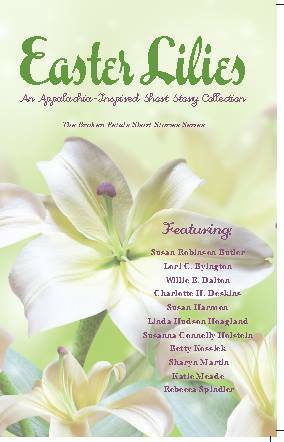 October 13: Appalachian Story Sampler, Morgantown (WV) Library. 11am. Free and open to the public. October 14: West Virginia Book Festival. Coordinating the storytelling programming for the festival. October 16-18: West Virginia Storytelling Festival, Jackson's Mill, WV. For schools only. October 19: Full day of storytelling at Dixie Elementary School. October 20: Ghost Stories Concert, Sistersville, WV, at the Gaslight Theater.5 storytellers, guaranteed spooky stories and songs, and a good time for everyone. Call 304-652-1707 for more information. October 27: Tellabration! in Morgantown, WV. 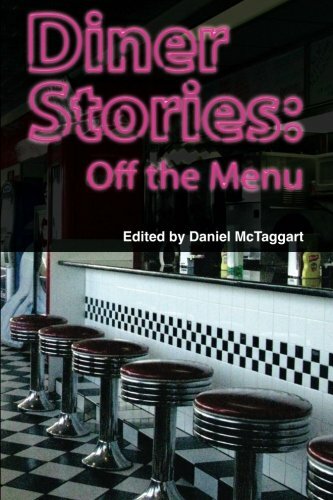 Featuring children's stories by the WV Storytelling Guild. 4:00 pm at the MountainLair. October 30: storytelling at Cottageville elementary school. November 16: presentation for students at Shepherd University's Appalachian Storytelling class. December 6: Christmas stories and songs at my uncle's assisted living center. December 8: Here We Come A-Caroling: Stories of the Songs of the Holidays. Granny Sue tells the stories of some of our favorite carols as well as some lesser-known songs and Charleston musician Jeff Seager leads the music. Come and sing along with us! Paden City (WV) Library, 11:00am. December 8: Here We Come A-Caroling: Stories of the Songs of the Holidays. Granny Sue tells the stories of some of our favorite carols as well as some lesser-known songs and Charleston musician Jeff Seager leads the music. Come sing along with us! Sistersville (WV) Library, 2:00pm. December 15: Here We Come A-Caroling: Stories of the Songs of the Holidays. Granny Sue tells the stories of some of our favorite carols as well as some lesser-known songs and Charleston musician Jeff Seager leads the music. Come and sing along with us! Ripley (WV) Library, 6:00pm. January 22: Picture Book Writing Workshop, Taylor Books, Charleston, WV. As a student :); maybe I'll do something with all the ones I've written. 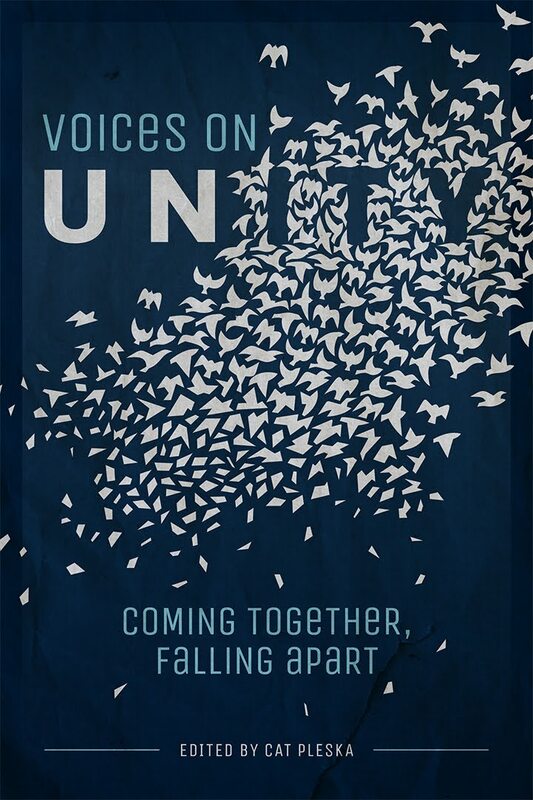 March 18-20: VASA Gathering, Harrisonburg, VA. Teaching my workshop Sung Tale to Told Tale. See http://www.vastory.org/ for details. April 28: Presentation for retired teachers, Cedar Lakes. Private event. May 14: Migration Celebration, Little Beaver State Park, Beaver, WV. See http://www.tracwv.org/ for details. May 28: Vandalia, WV State Capitol grounds. Onstage performance and working at the WV Storytelling Guild tent. June 14: Jackson County Library, Ripley, WV-Around the World With Granny Sue 10am. Call 304-372-5343 for details. 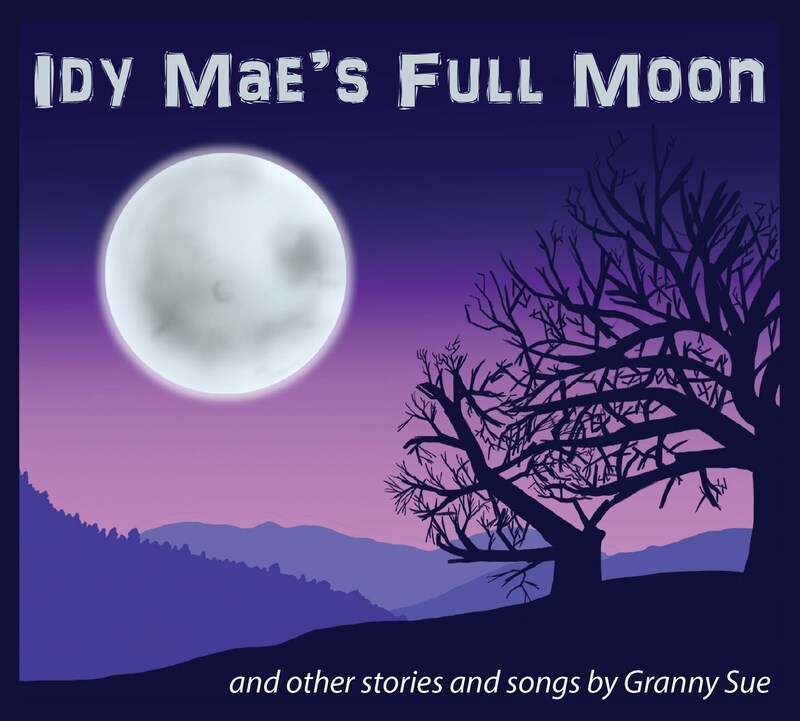 June 15: Jackson County Library, Ravenswood, WV-Around the World With Granny Sue, 1pm. Call 304-273-5343 for details. June 16: Moundsville-Marshall Library- Around the World With Granny Sue, Moundsville, WV Summer Reading Kickoff, 11:00am. June 17-18: West Virginia Folk State Folk Festival, Glenville, WV. Singing Tent and Oral Traditions Tent. See http://www.wvfolkfestival.org/ for more information. June 19-24: Allegheny Echoes, Marlinton, WV. For fun and for learning new things! June 25th: WV Writers Table, Charleston, WV, in front of Taylor Books. Come add to our story--11am-5pm. July 11: Sistersville Public Library- Around the World with Granny Sue. 12 noon. July 16: Tygart Lake State Park, storytelling in the park. 7:00pm. Call 304-265-6149 for information. July 20: School Librarians Conference, Barbour County, WV: Storytelling in Schools. July 21: The Ice House Theatre, Berkeley Springs, WV: West Virginia Ghost Stories and Ballads. 6:00pm. July 25: Princeton Public Library, Princeton, WV: Around the World with Granny Sue. Time TBA. July 29: Gaslight Theatre, Sistersville: Tales Tall, Tales True, Tales Just Downright Funny. 7:00pm. August 6-7: Inland Waterways Festival, Campus Martius Museum, Marietta, OH. Storytelling on the river! August 22: Elderhostel storytelling Cedar Lakes, Ripley, WV. Private event. September 9: Chillicothe, Ohio: Southern Ohio Storytelling Festival: Ghost stories! 9:30pm. October 12-13: West Virginia Storytelling Festival, Jackson's Mill, WV. October 14: Alban Elementary School Appalachian Heritage Fair. Private school event. October 15: Sistersville Library, Sistersville, WV. Ghost Stories! Granny Sue and Jason Burns. 7pm at the library. October 18: Main Library, Charleston WV: Things that Go Bump in the Night: Ghostly Tales for Little Ones. 6:00pm. October 22-23: WV Book Festival, Charleston Civic Center, Charleston, WV. Attending for the fun of it for the first time now that I'm retired. October 29: Storytelling for Kanawha County libraries: 10:30 am-Dunbar Library; 12:00 noon-Clendenin Library; 2:30pm Cross Lanes Library. Ghost stories galore! Cross Lanes-ghost stories for little ones; Clendenin-ghost stories for little ones; Dunbar-ghost stories for grades 3 through adult. November 5: Writing Contest Reception and Storytelling, Ripley Public Library, Ripley, WV. 6pm at the library. November 5: WV Education Association Professional Development Conference, Charleston Marriott, Charleston, WV: Storytelling in the Classroom presentations to WVEA members. November 10: Salem Elementary School, Salem, WV. All day private school event. November 18: Hosting Open Mic Evening at the Jackson County Library, Ripley, WV. 7-9 pm at the library. First in a monthly series. Acoustic instruments and spoken word performances. Call 304-372-5861 for more information. November 19: Tellabration! Middleport, OH. Call Donna Wilson at 740-992-7830 for more information. December 8: Here We Come A-Caroling: Stories of the Songs of the Holidays. Granny Sue tells the stories of some of our favorite carols as well as some lesser-known songs and Charleston musician Jeff Seager leads the music. Listen, relax and sing along with us. 6:00pm at the Riverside Library, Belle, WV. Call 304-949-2400 for more information. December 10: Here We Come A-Caroling: Stories of the Songs of the Holidays, Ripley Public Library, Ripley, WV. Granny Sue tells the stories of some of our favorite carols as well as some lesser-known songs and Charleston musician Jeff Seager leads the music. Listen, relax and sing along with us.6:00 pm at the library. Call 304-372-5343 for more information.